When Wasa 360 was launched in the 80’s, our designer Leif Ängermark made an impact to the IOR rule, which was not quite easy. 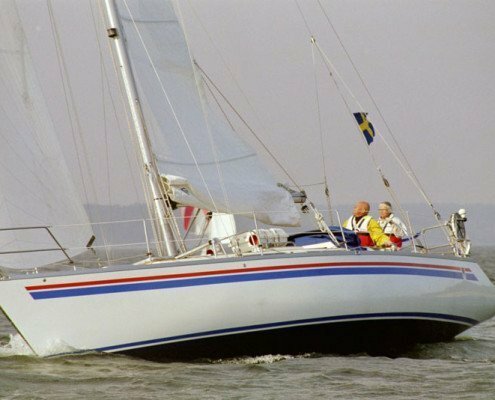 Leif who always liked the more elongated boats drew with Wasa 360 a more compact boat, which was partly adapted to IOR. The boat became one of Wasa’s top sellers with about 100 boats built over the years. New indoor building ready outside!